Using fertilizer will help you grow and maintain a healthier, greener and more resilient lawn. You can cover bare spots in the grass, prevent future weed growth, and even make your lawn more durable for foot traffic. The best time of the year for your first fertilizer treatment is the beginning of spring. The second treatment should be about four weeks later. From there, fertilization should take place every six to eight weeks as needed through October. Adding mulch to your garden beds not only benefits your overall yard appearance, it’ll also help your garden grow and thrive. 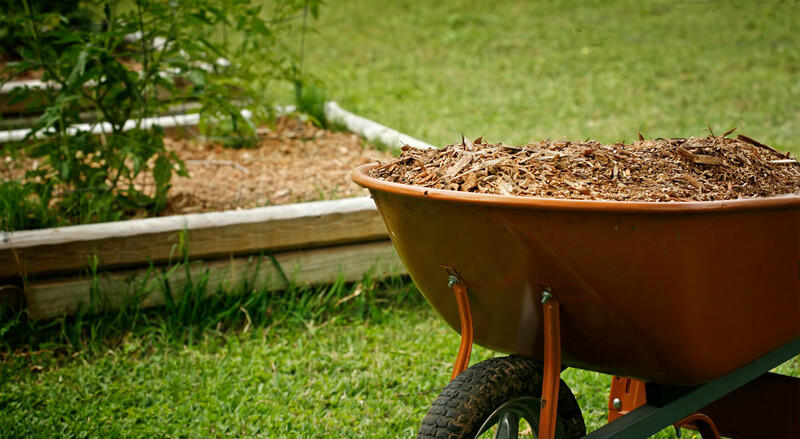 Mulch improves the health of the soil by conserving water, preventing weeds and providing protection from hot summer temperatures. For a natural-looking garden, use dark-colored organic mulches made of bark or compost. For a vibrant-looking garden try a mulch of bright gravel. Plan to use around two inches of mulch for plants; just be careful not to place mulch directly up against the plant, which can suffocate it. Leave four to six inches of space around the plant to help prevent moisture-depletion and waterlogging issues. An edged walkway looks more uniform and professional. To edge like a pro, position yourself so the edge of the walkway is in front of you, running from left to right. Turn your string trimmer over so the head is inverted and raise the trimmer so the head and line are parallel to the edge. Lower the trimmer head until the line is hitting the grass along the walkway. The goal is to cut any grass that’s growing over the edge of the walkway, so walk slowly and guide the trimmer head as you go. Need a reliable string trimmer? Check out a range of options here.